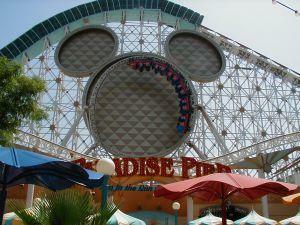 A park map helps you find attractions at both Disneyland parks quickly and easily. A Disneyland park map is an essential tool for anyone visiting this Southern California fantasyland, but it's not enough just to pick one up and shove it in a pocket or bag. Park maps are free and easy to find throughout Disneyland theme park. Parking booths, ticket purchase counters, gift shops, and the main entrance gate all have a supply of maps to hand out, while kiosks and information centers throughout the park can also provide maps. Guests interested in planning long before they get to the park, however, can access detailed maps from the park's website at Disneyland.com - the map link is located on the upper navigation bars. Color-coded guides to each of the park's themed "lands," complete with numbered attractions and dining options. Locations for the appearances of popular Disney characters. 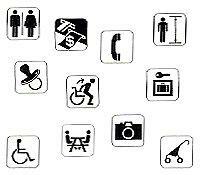 Icons denoting the locations of rest rooms, ATMs, stroller, wheelchair, and locker rentals, preferred photo spots, first aid stations, baby care centers and more. Ride and attraction icons explaining basic policies such as whether guests must be able to transfer to the ride vehicle or if the attraction may be frightening to children. Minimum height requirements for rides. Basic Fastpass and Photopass instructions. Notices about new attractions or upcoming special events. Which credit cards and payment methods are accepted. That is a lot of information to pack into a small brochure, but by being familiar with everything the park map offers, guests will easily be able to find their favorite attractions and enjoy their day with less hassle than disoriented visitors. Map icons help guests find different essential services. Many people have difficulty accurately reading a road map, and a Disneyland park map can be just as difficult to decipher. The fold out center of the map is a color-coded and heavily labeled cartoon drawing of the park, seen from an aerial view to help guests orient themselves properly. Popular attractions such as Sleeping Beauty's Castle, Space Mountain, the Matterhorn Bobsleds, Big Thunder Mountain Railroad, and Main Street U.S.A. stand out clearly, and guests should first determine where in the park they are by those popular landmarks so they can use their map effectively. Once you have found your location on the map, it is easy to follow the main pathways to other attractions, shows, and restaurants. A crowded park can be a challenge to navigate, however, especially since the Disneyland park map is not detailed enough to show street vendors, café tables, and other small features that can easily confuse directionally-challenged guests. For an accurate and efficient route, guests should consult their map frequently to stay on track to their favorite attractions. Experienced park guests can use their park map for more than just finding their way from one attraction to another. Because each map thoroughly lists all major and minor attractions, it can be a perfect checklist to ensure you've visited each item. The map can also help guests plan how to work their way around the park without wasting time and energy running from one end to the other to catch different attractions. Maps can easily be lost, ripped, waterlogged, or otherwise unusable. If you can no longer use your map, you can pick up a spare at many locations - gift shops, kiosks, etc. - around the park, but it is also critical to set up a meeting place so that if family members are separated, they can find one another whether or not they have a map in hand. Keep in mind that the most popular attractions are also the most popular meeting places and the crowds they attract can make finding individuals difficult. Use the Disneyland park map to select a more suitable spot - a favorite out-of-the-way attraction, or a lesser known hideaway near a larger attraction, for example. A Disneyland park map is a crucial tool to make the most of an unforgettable day. Time spent wandering in circles or struggling to find ride entrances, suitable restaurants, and show theaters means less time to enjoy all the attractions the park has to offer. A map can make the difference between being lost in Disneyland or being lost in having a great time.